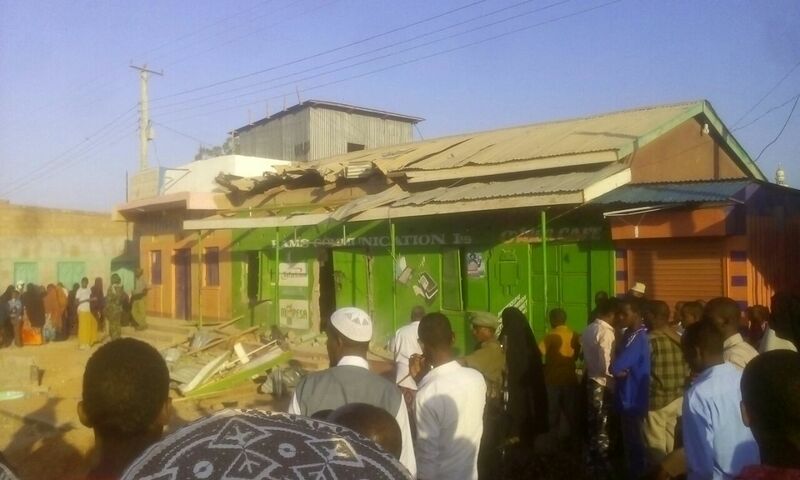 Six Killed in Al Shabaab Attack On Kenya’s Border Town Of Mandera. Kenya’s North Eastern Regional Commander, Edward Mwamburi has confirmed the incident saying one person was injured in the early morning attack that took place at Bulla public works plot in Mandera Town near the Somali border. “The building had 19 people. Six were killed and one was seriously injured in the attack,” Mwamburi said while addressing the media in Garissa Town. Mandera Governor, Ali Roba thanked Kenya’s security officers for responding swiftly to the attack, adding that he grieves with the affected families. “We have suffered another sad attack in Mandera where six have been confirmed dead and one seriously injured. We grieve with our families,” he said. Police are yet to clear the building as they suspect that the building has been rigged with improvised explosive devices (IEDs). Kenya Defence Forces (KDF) bomb experts have been deployed to assist in the operation. The assailants, who were reportedly clad in Kenya Army uniform, have escaped towards Somalia. Mwamburi has, however, confirmed that an operation to capture the assailants is underway. North Eastern Kenya has been rocked by several attacks over the past few years, largely because of the regions proximity to war-torn Somalia. Last year Kenya stated the construction of the 700km Kenya-Somalia border fence to bar unwanted people from illegally getting into the country from the neighboring Somali. Speaking in 2015 during the launch of the wall, Kenya’s Interior Cabinet Secretary, Joseph Nkaissery said the fence will not deter or limit the movement of other people from and to Somalia as perceived. “This fence will help us check on people like Al Shabaab from crossing to and from Somalia. We will not limit movement of other people,” he said. The minister said there will be entry points with immigration officers at Mandera, Elwak, Liboi and other areas down to Lamu to screen those getting in and out of the country. Designated border points will have police posts, Kenya Revenue Authority officers and other government offices to provide vital services.